The remaining ad refers to the magic Google+ performs on photos that users opt to automatically backup to the service. It highlights Auto Awesome, which can take pictures taken in rapid succession and turn them into short animations. It's a useful feature, but not one that's exclusive to any particular device. The Nexus 5 excels in many areas, so it's a little odd to see Google emphasizing what could be considered one of the phone's weakest elements. But hey, at least the ads aren't glorifying its awful speaker. 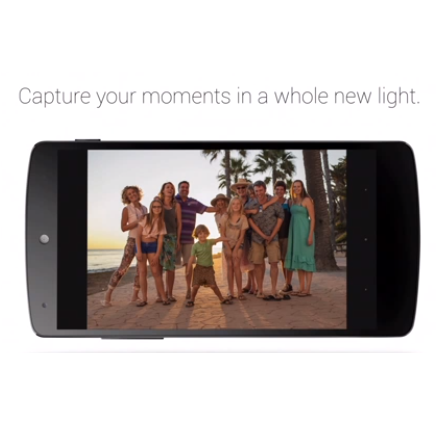 Note: Some of the videos above originated from the ad Google released on October 31st when it unveiled the Nexus 5.